Banksy | welcome, be my muse! 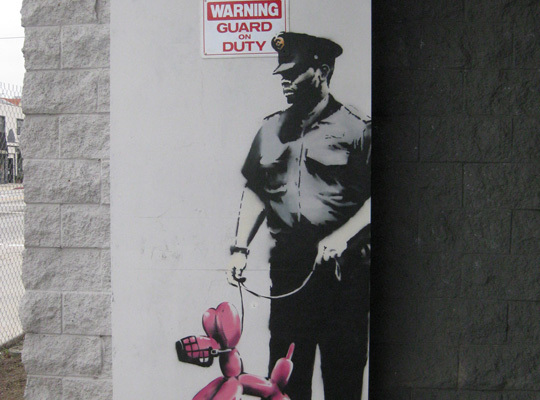 NEW BANKSY “Guard on Duty” REMOVED! Rumors say that Ace Gallery owner Doug Christmas took down the latest Banksy piece spottet in Los Angeles last week… From street art to the gallery, within only a few days… Chapeau!